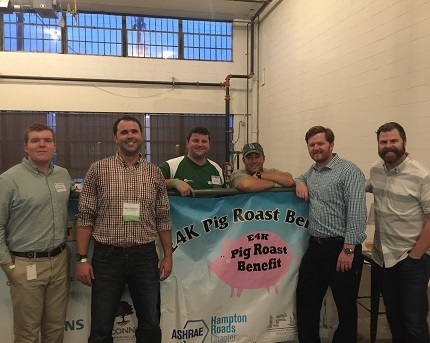 In 2008, Hampton Roads Chapter of ASHRAE in conjunction with the local chapter of IFMA, developed an annual benefit called E4K (Energy for Kids) to help local charities lower the costs associated with heating, cooling, and making domestic hot water for their facilities. While rates for fossil fuels may rise, the ASHRAE/IFMA E4K improvements substantially enhance these systems, help lower consumption and overall cost of operations, and produce a positive impact on our environment. This web site describes the activities of the Hampton Roads Chapter of the American Society of Heating, Refrigerating and Air Conditioning Engineers, Inc. (ASHRAE). It does not present official positions of the Society nor reflect Society policy. ASHRAE is not responsible for this site's content. To learn more about ASHRAE activities on an international level, contact the ASHRAE home page at http://www.ashrae.org. Chapter can not act on behalf of society.